Bouncy Ball Free is an iPhone game developed byRAON GAMES / YONG OK PARK. 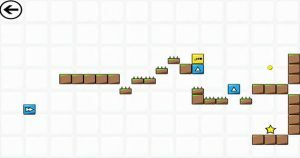 In this addictive arcade-style game, you must move a bouncing ball along a complex landscape to reach the end of the line. Along the way, you must avoid pits and other traps. There are multiple worlds, each with about 20 levels. The worlds run the gamut from Alpha Centauri and the Horsehead Nebula to more mundane environs like ground, sky, and underworld. 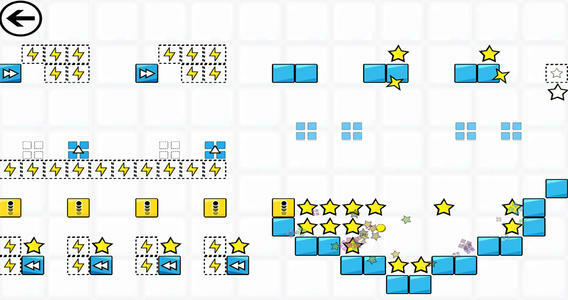 Each level can be played on either the easy or hard setting. 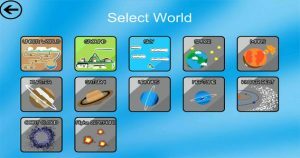 The controls for Bouncy Ball Free could not be more simple. Press on the left side of the screen to move backwards, and press on the right side of the screen if you want to go forward. What makes this title a bit tricky is the fact that you can only control the direction of the bouncing ball, not the speed or the height. 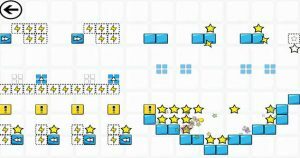 The simplistic control scheme does make this game seem challenging, no matter what level or level of difficulty you are playing. Each level flows seamlessly into the next. Once you beat a level, you go automatically to the next level with no intermediary screens. If you die, you respawn quickly. This makes the gameplay very fast-paced and minimizes player frustration. The Free version of the game does have a honking great banner ad along the top of the screen. This can be a bit distracting, but it ultimately doesn’t detract much from the overall enjoyment of the game itself. While the graphics may be too simplistic for some tastes, this game still remains extremely engaging. 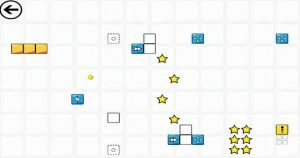 If you love physics games, this is a must-play! Bouncy Ball Freerequires iOS 4.0 or later. Compatible with iPhone 3GS, iPhone 4, iPhone 4S, iPhone 5, iPhone 5c, iPhone 5s, iPad, iPod touch (3rd generation), iPod touch (4th generation), and iPod touch (5th generation). This app is optimized for iPhone 5.